The Grand Alliance was one of convenience in the fight against the Axis powers. The British had reason to ask for one as Germany, Italy, and Imperial Japan threatened not only the colonies of the British Empire in North Africa and Asia, but also the Home Islands. The United States felt that the Japanese and German expansion should be contained, but ruled out force until the attack by the Imperial Japanese Navy on Pearl Harbor on 7 December 1941. The Soviet Union, after the breaking of the Nazi–Soviet Pact by the instigation of Operation Barbarossa in 1941, greatly despised the unchallenged Japanese expansion in the East, particularly considering their defeat in several previous wars with Japan. 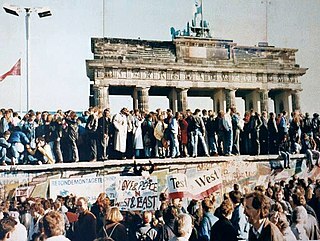 They also recognized, as the US and Britain had suggested, the advantages of a two-front war. 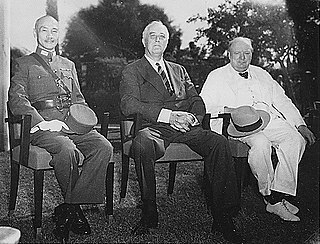 In 1942 the three powers discussed becoming, with China, the Four Policemen of world peace. There were many tensions in the Grand Alliance among the "Big Three" leaders Franklin D. Roosevelt, Winston Churchill, and Joseph Stalin, although they were not enough to break the alliance during wartime. Division emerged over the length of time taken by the Western Allies to establish a second front in Europe. The essential ideological differences between the United States and the Soviet Union strained their relationship. Tensions between the two countries had existed for decades, with the Soviets remembering America's participation in the armed intervention against the Bolsheviks in the Russian Civil War as well as its long refusal to recognize the Soviet Union's existence as a state. During the meetings from 1943-45 there were disputes over the growing list of demands from the USSR. Tensions increased further when Roosevelt died and his successor Harry Truman rejected demands put forth by Stalin. ^ Ambrose, Stephen (1993). Rise to Globalism: American Foreign Policy Since 1938. New York: Penguin Books. p. 15. ^ a b Jones, Maldwyn (1983). The Limits of Liberty: American History 1607-1980. Oxford: Oxford University Press. p. 505. Winston Churchill. The Grand Alliance. Re-issued by Houghton Mifflin Harcourt, 1986. ISBN 978-0-395-41057-8. The term "Four Policemen" refers to a post-war council consisting of the "Big Four" that U.S. President Franklin D. Roosevelt proposed as a guarantor of world peace. 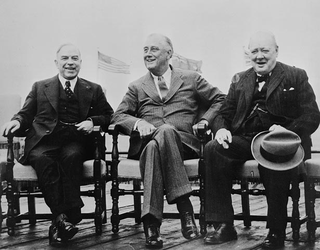 The members of the Big Four, called the Four Powers during World War II, were the four major Allies of World War II: the United Kingdom, the United States, the Soviet Union and China. The United Nations envisioned by Roosevelt consisted of three branches: an executive branch comprising the Big Four, an enforcement branch composed of the same four great powers acting as the Four Policemen or Four Sheriffs, and an international assembly representing the member nations of the UN.